A full daily dose of vitamin B12, in a delicious raspberry-flavored chewable tablet! 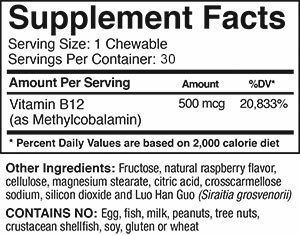 Get the energy provided by B12 in yummy chewable form! 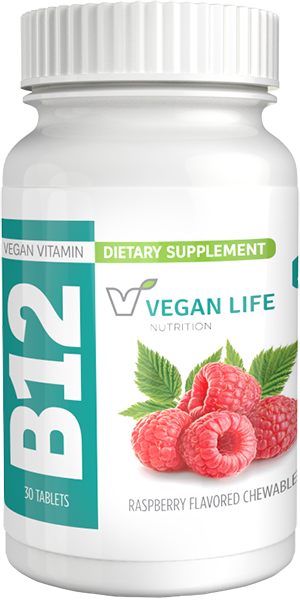 Each tablet contains 500 mcg of truly Vegan Vitamin B12. 30 tablets per bottle.